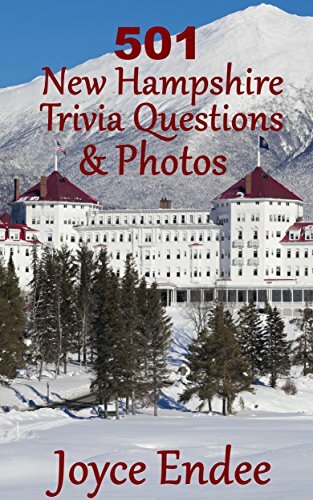 I've written a book on New Hampshire Trivia Questions with 501 questions and over 501 matching pictures! Check it out! Available on Amazon. Welcome to Joyce's Craft Shows 2019!!! We have 13 fabulous fairs this year in New Hampshire. Our fairs include many awesome exhibitors from all over New England and beyond displaying a variety of media!!! Some of the media include fine jewelry, primitive crafts, country & contemporary decor, functional & decorative pottery, gourmet foods, glass art, fine art, textile arts, quilts, wood turned crafts, furniture, tole, soft sculpture, & lots more!!! Every fair is unique with various arts & crafts. No two fairs are the same. Please refer to the Schedule Page by clicking the above tab to access all the dates, locations, and times. Buy American made arts and crafts from American citizens and support American small businesses. Prospective exhibitors should click on the Vendor Page above for the application. If you have any questions, please click on the Contact tab above. We look forward to seeing you at Joyce's Craft Shows!!! God Bless America!!! "The following photos are representative of and were taken at Joyce's Craft Shows."